What is Amazon Selling Coach? Amazon Selling Coach is essentially a powerful widget which represents help and suggestions on Amazon’s platform. It is sellers’ best friend on Amazon as it provides valuable insights and personalized recommendations to boost their business and improve their revenues. Amazon Selling Coach is a widget which represents help and support that Amazon extends the sellers on its platform. When a seller launches their business on Amazon platform, they must receive plenty of generic advice from many other support platforms regarding the dos and don’ts of the virtual marketplace. However, Amazon Selling Coach is unique in the manner that the advice is from an ‘insider’, i.e. Amazon itself, and the advice, suggestions, and indications are personalised for the seller keeping their best interests in sight. When a seller launches their business on Amazon platform, they receive plenty of generic advice from various sources over the Internet regarding the dos and don’ts of the virtual marketplace. However, Amazon Selling Coach is unique in the manner that the advice is from an ‘insider,’ i.e., Amazon itself, and the information, suggestions, and indications are personalized for the seller keeping their best interests in sight. Its powerful machine learning algorithms derive insights from a combination of key data points to offer recommendations and suggestions. The Amazon Selling Coach Widget observes and suggests based on the seller’s profile and listings. The ideas are narrowed such that the seller receives information for growth only relevant to their area of business. The widget is found on the Seller Central Account home page, on the right-hand side. The same can be accessed through the Reports section of Seller’s account. These recommendations can be accessed directly through the Amazon Selling Coach widget in the Seller Central account or can view through email. Sellers also have the option of downloading their recommendations in bulk from Amazon Marketplace Web Services. The first and foremost helpful aspect of the Amazon Seller Coach widget is the perspective that it provides. The seller may be inclined to think only in one direction, while the widget and recommendations can open up a holistic perspective. 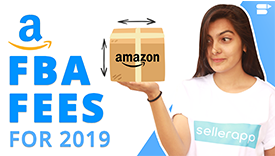 Amazon Seller Coach also makes you aware of the possibilities of using FBA to provide free shipping for some of your products and notifies about offers with discounts. It makes the job of understanding and expanding the business fairly more comfortable. Lastly, sellers get all of these suggestions for free of cost. The widget is available with the Professional Selling plan, which makes sense given that all of these recommendations are geared mainly towards merchants who are looking to sell more than 40 units a month. Amazon Seller Coach is an important tool that every merchant should have in his arsenal. The plethora of suggestions provided can most definitely help sellers take their business to new heights.